She's a bounty hunter, geddit? I also write but that really isn't worth sticking up here. 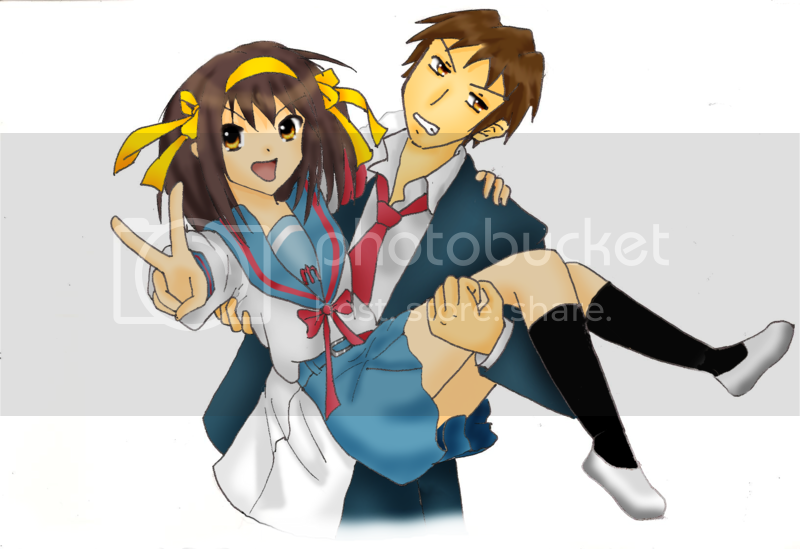 the Haruhi one must be newer? wat program do you use for all your coloring? Actually, the Haruhi one is the oldest of the three. 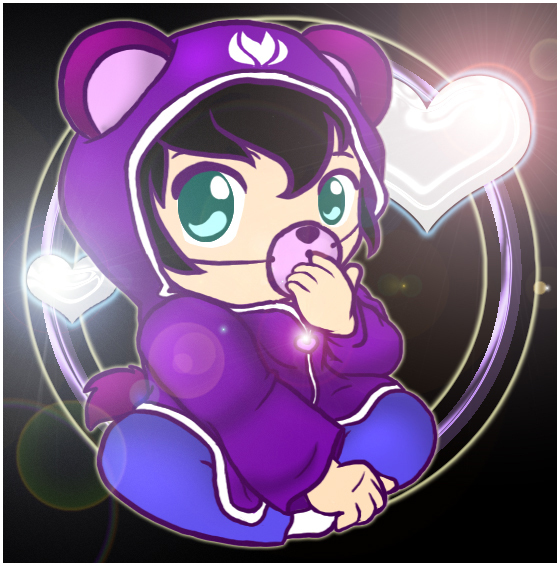 I just get progressively worse XD I use Photoshop 7. Not sure if 7 is the best one, apart from CS2, it's the only one I've used and CS2 had a lot more to it than 7 did. Still, any of them are better than Macromedia bloody Fireworks which we get stuck with a school. 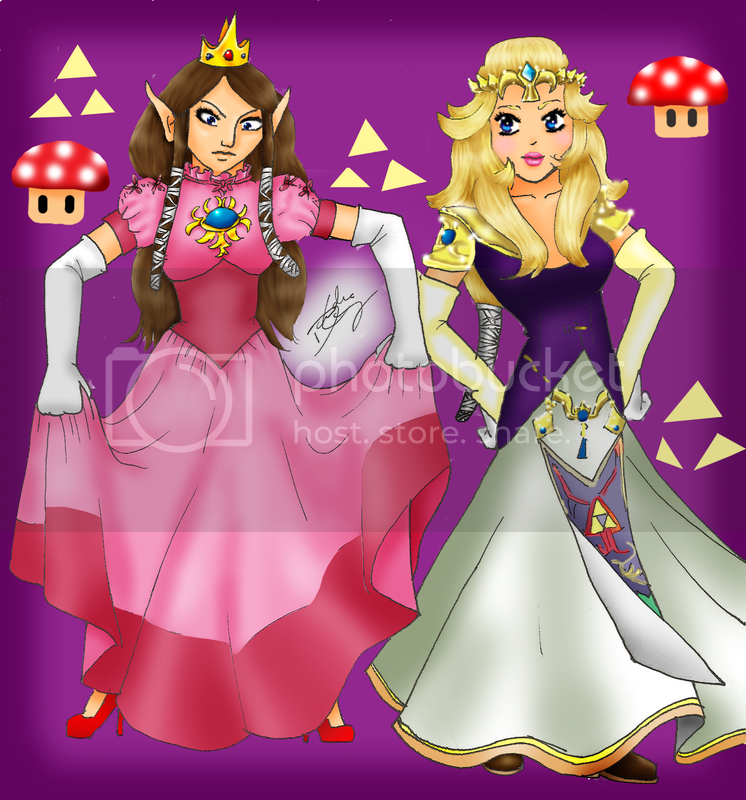 I'm still working with Photoshop Elements 2.0 and I'll most likely still with it. I tried CS3 once and didn't like it too much. But maybe I should give 6.0 a chance if you say so. 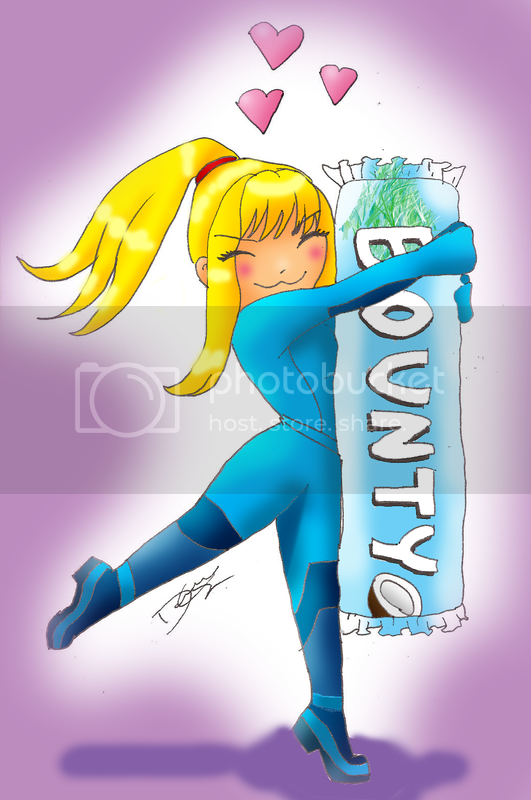 the Bounty picture is really adorable. XD Thank you very much. What's Photoshop Elements 2.0 like? What knind of features, what can you do with it? I recently got an animation plug-in for gimp to mike gifs, but I'm having trouble using it.